Back in May, we uncovered the new generation of LED Nano Cubes from JBJ USA, and today we’re happy to report some finalized specs and PAR numbers. Available in 6, 12, and 24 gallon models (which are all the traditional sizes), the new Nano Cubes will sport the same curved glass front, integrated 3-stage filtration, and even the aquarium hood as the original lineup of nano tanks, but they will completely ditch the old power compact lighting systems and replace them with high powered LEDs. 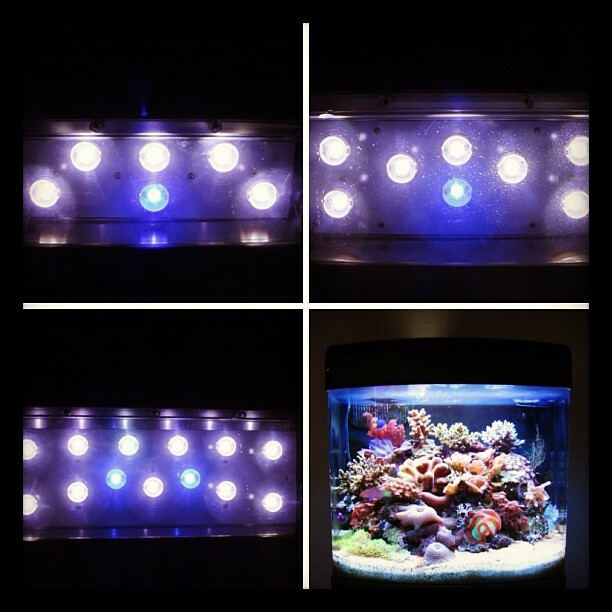 JBJ is pleased to announce the next generation of nano-cubes to our ever growing list of JBJ Aquarium Products. The newest models reflect the same classic nano cube look that has proven successful for almost a decade a now but has been combined with more efficient technology. Most notably these new next-gen nano cubes have replaced the hot power compact bulbs that necessitate annual to bi-annual replacement with a cool running, long lasting, low power consumption LED lighting system. JBJ continues to prove that small things really do come in small packages. 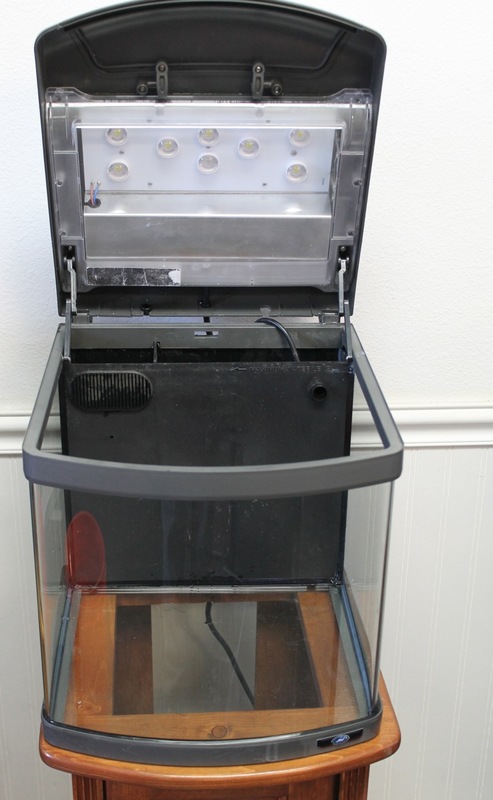 Whether you are a novice aquarist trying his or her hand at their first freshwater aquarium or an advanced marine aquarist looking to add a nano-reed to your desk, JBJ has the right tank for you. 24 Gallon Glass Cube, still in place in the next generation nano-cubes are the patented curved glass, which allow for a unique and dynamic panoramic view of your aquarium and all of its inhabitants. 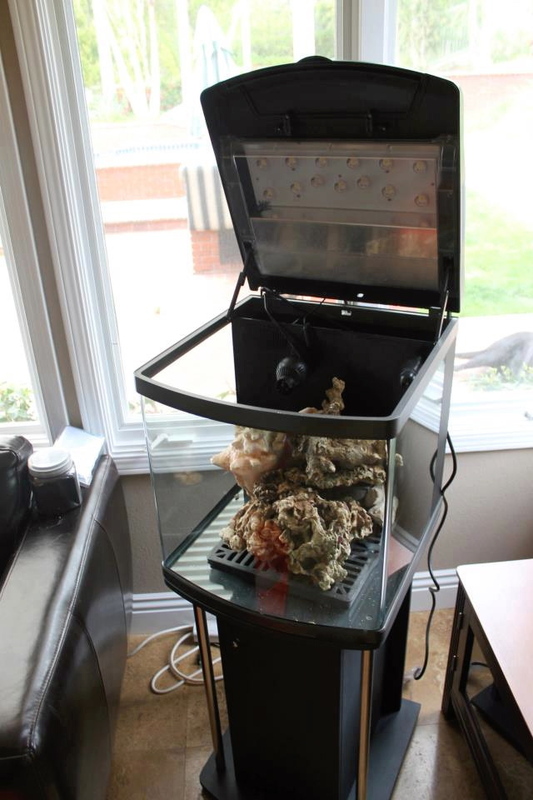 Mechanical/Biological – Sponge filter which will trap detritus and particulate matter. Sponges are also often a breeding ground for beneficial in-fauna like copepods as well as denitrifying bacteria. Chemical – Activated Carbon is included, which aids in absorbing organic and chemical compounds such as medication from the water. Biological – Ceramic Rings and Plastic Bio-Media is also included, these too serve as breeding grounds for beneficial bacteria that assist in breaking down harmful organics such as ammonia and nitrites. Is there an update to this review? How is your reef tank working out with this set?